Men At Work’s 1981 hit ‘Down Under’ is one of those iconic Australian songs – a track that not only epitomised everything that’s great about the country in which we live, but that also transcended borders, becoming a mammoth hit across the globe, hitting No.1 in the US, the UK, Canada and here at home among others. 18 years after its release, singer Colin Hayes belted the track out in Sydney at a fundraiser for the Prince Of Wales Children’s Hospital. 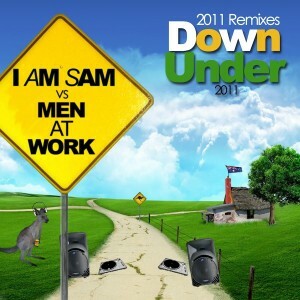 Eleven years later and after acquiring the footage and commissioning a remix of the song, the ‘I Am Sam Meets Down Under’ version of the track was born. Said remix (by Sydney DJ I Am Sam) has been shuffling around the ARIA club charts for a few weeks now, peaking just inside the top 30 in the nation’s clubs. The digital EP, featuring six versions of the track, has just been released via US label The Orchard and we’re super happy to report that part of the profits from the sale of the song will still go to the Prince Of Wales Children’s Hospital.